Have you found yourself in NYC wondering “Where I can get cash for gold near me?” If so, you are in the right place – NYC Bullion is the best gold buyer in town! Whether you’re selling jewelry, coins, scrap, or any other type of gold, we offer you the best cash for gold experience possible. Our highly trained professionals will determine how much your gold is worth and guide you step by step to ensure you receive the most competitive deal on the market. All appraisals are free and we are happy to answer any and all questions you may have. We are conveniently located in the heart of Manhattan, in the diamond district. Visit our location today! Give us a call or send us an email for more information. Searching for the most reliable source to sell your gold or simply looking for the best cash for gold locations? NYCBullion is placed in the heart of the Diamond District Area in Manhattan, NYC. 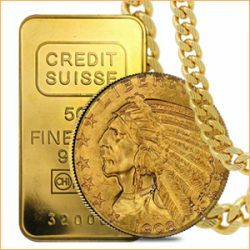 We are a highly trusted source, experienced in buying gold coins, bars, jewelry, and other types of precious metal bullion in NYC, If you are looking to sell gold coins in New York or just want to cash for gold, our high-class analysts are here to assist you and evaluate any of your gold offerings with full disclosure. Visit our store and receive the best cash for gold offer today! Do you want to sell gold coins? We are one of the few gold buyers in NYC which are buying gold coins with full transparency and high commitment. Come and sell gold coins in one New York City’s most trusted gold exchange stores! Are you wondering where to sell gold bars? You found the best gold buyer in NYC with high-class professionals that will offer you the most attractive cash for gold prices. Or do you just want to sell scrap gold and are searching for the most reliable gold buyer in New York? Here at NYCBullion, you can sell gold for cash without any worries and receive a fair cash payout. NYC Bullion offers gold exchange in New York, being one of the few among many other gold buyers where you can receive great offerings for the real precious metal value when you’re selling gold. When we buy gold, we make sure that you are confident with the deal and the price you receive. Are you looking for a convenient way to sell gold for cash in NYC? NYCBullion is the one who buys gold from you both online and in store. You can contact our gold buyers in New York and visit our location in Diamond District Area. Our gold experts will perform the testing and authentication right in front of you, during your visit, to make sure you get the best customer service and value when selling gold. Or you can sell gold online simply by completing the “Get an offer now” form and receiving your customized gold cash deal. Both online and in store, selling gold is now a pleasant, comfortable and, most of all, honest experience. You can exchange gold scrap for money right here at NYCBullion. Our trained assistants with high expertise will assess your offerings right in front of you, authenticating your gold scrap by following the highest standards. Visit one of our locations or contact us to sell bullion online and get your personal cash for gold offer.